NoMachine has announced the introduction of WebRTC support in its Cloud Server product, thus enabling video and audio streaming when connecting to NoMachine desktops using a WebRTC-enabled browser. Initially in beta status, the functionality will be available to all users of Cloud Server who explicitly enable the feature. 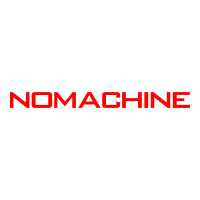 For more information on NoMachine please see our web site and contact CustomTech (email info@customtech.com.au or call) to arrange a FREE evaluation and discuss your needs.